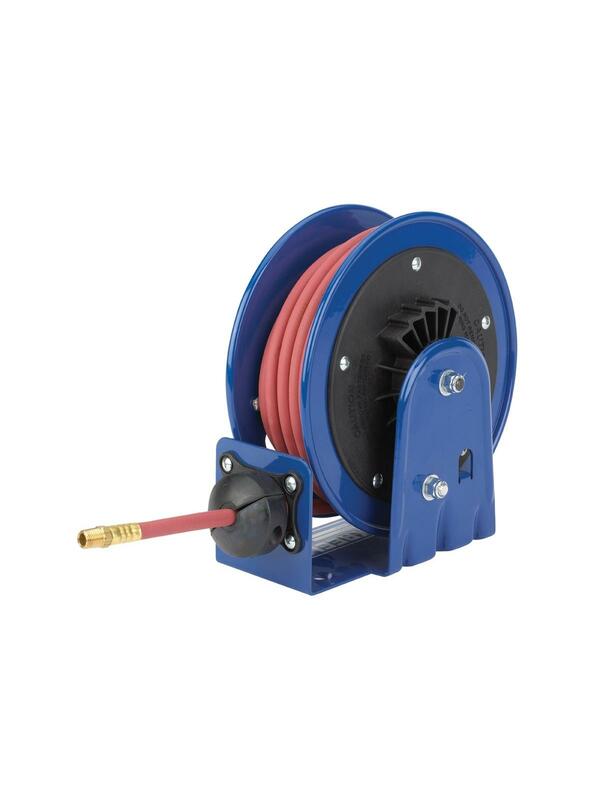 Compact and lightweight spring driven hose reel saves space and facilitates workplace organization. Solid one piece, 12 ga. steel base and support post for maximum stability. External fluid path with machined from solid brass full-flow swivel. Durable proprietary CPC™ powder coat process. Rolled edges and ribbed discs provide strength and safety. FOB Shipping Point. 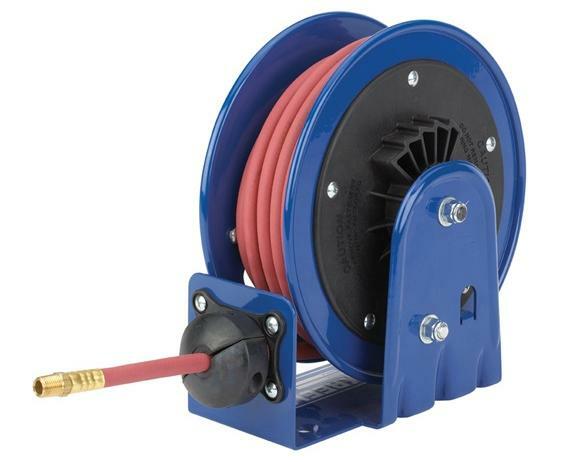 5-1/4 x 10-5/8 x 10-1/2"5-1/4 10-5/8 10-1/2"